The story of the bags from Perstorp, Sweden. 1950 -The first bags in plastic manufactured in Perstorp. 2007- Resume the production of the classic bag Perstorp. 2013 - The classic Perstorp bag in new designs and two sizes. 2015 - Ergonomic bicycle baskets in classic design. Arne Darnell designed this preparation bowl in melamine during his first year at Perstorp, 1964. It was made in orange, red and yellow. A bread box plastic manufactured in the 1960's in Perstorp. Available in several colors, here in red. Buttercup made in Perstorp, designed by Arne Darnell. Arne Darnell began working as a designer at Perstorp AB in 1963. During the time of Arne Darnell, the design department in Perstorp was given more and more space with more engineers and employees. In the 50's and 60's, the laminate Perstorps plate was common as a countertop, but also as a splash cover and table top. The first Perstorp plate was manufactured in 1950 and had a pattern that reminded of a linen cloth and was in beige and two gray tones. Watering can from Perstorp, designed by Hugo Lindström, prepared in consultation with garden experts, was launched in 1963. Made in Etenplast and later in Sarvis. The classic Perstorp bag was designed in the early 1950s by Perstorp AB and their designer Curt Christofferson. The bag was named Shoppingbag 329, but was usually called the Perstorp bag. The production was stopped in the 1960s, when the stores' disposable plastic bags took over. 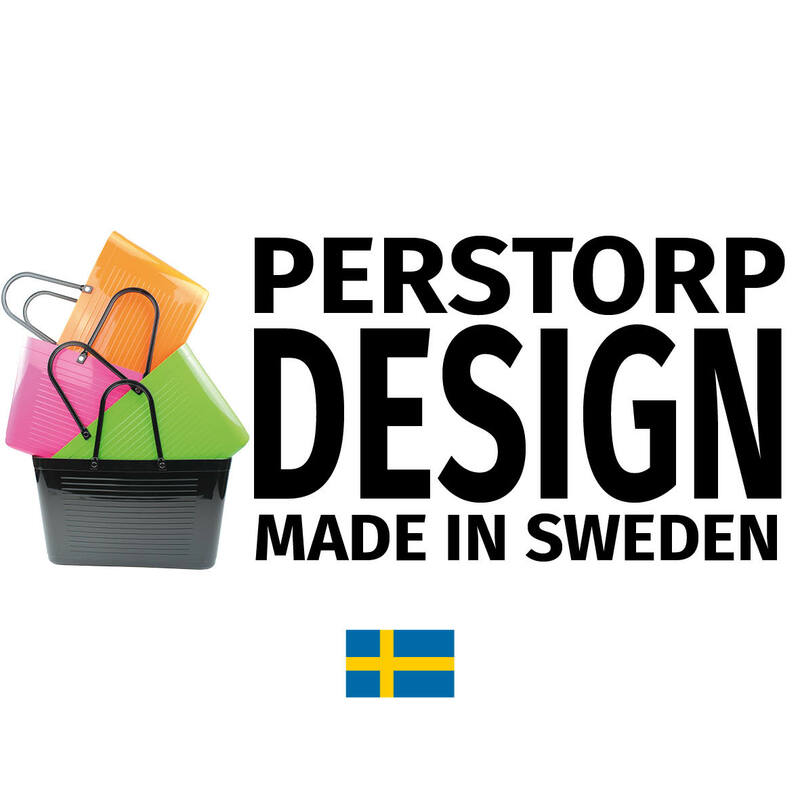 Perstorp Design is currently the only manufacturer in Perstorp since the time and for tradition further. In 2007, the production was started again by the classic bag according to the original design. A famous pattern from the Perstorps plate is Virrvarr, drawn in 1960 by Sigvard Bernadotte. The pattern has been in several colors and is still manufactured. "VIRRVARR is a pattern that wants to be both calm and lively"